Mosaic of a backlit Saturn, made from 60 Cassini images acquired on October 12, 2012. As a sort of Christmas gift to the world, the Cassini mission team released this image today, a majestic mosaic showing the planet Saturn gleaming in backlit sunlight. Since images like this can only be taken while the sun is behind the planet, this beautiful view is all the more precious for its rarity. 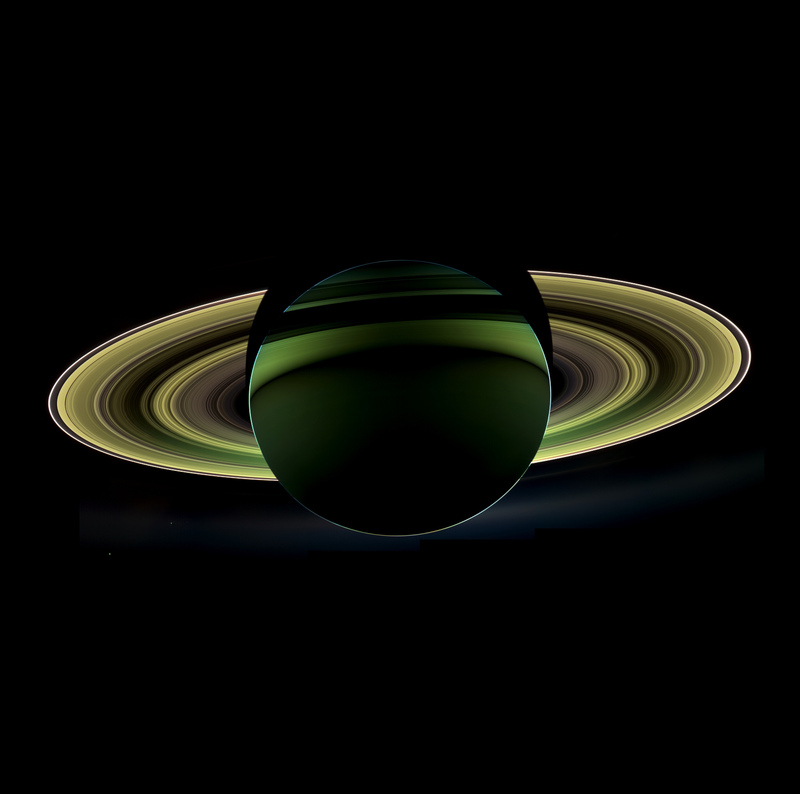 The last time Cassini captured a view like this was in Sept. 2006, when it captured a mosaic processed to look like natural color, entitled “In Saturn’s Shadow-The Pale Blue Dot” (See PIA08329.) In that mosaic, planet Earth put in a special appearance, making “In Saturn’s Shadow” one of the most popular Cassini images to date. Earth does not appear in this mosaic as it is hidden behind the planet. The hazy glow around the lower portion of the rings is the illuminated E ring, which is made of fine icy particles sprayed into orbit by Enceladus. Previous Post Heeeeeey, NASA Ladies!